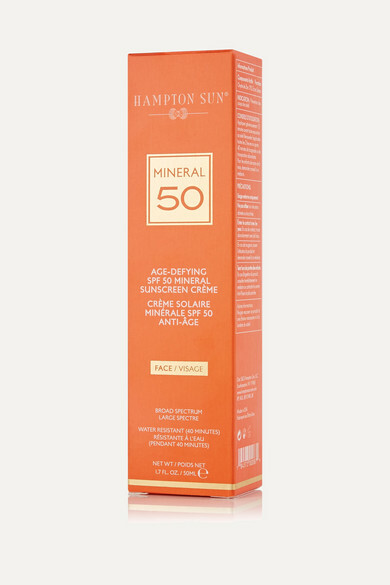 Hampton Sun's 'Age-Defying Mineral Crème' is enriched with moisturizing Argan Oil and soothing Chamomile. Non-comedogenic and suitable for all skin types, this waterproof formula locks in moisture while protecting from damaging UV rays. Natural Zinc Oxide absorbs instantly - so don't worry about that dreaded white cast or streaky appearance.